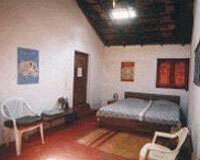 Hotel Rainforest Retreat is located in the heart of the Western Ghats. Rainforest Retreat, an eco-lodge, is located on an Organic Spice Plantation (MOJO Plantation) nestled in the heart of the Western Ghats. 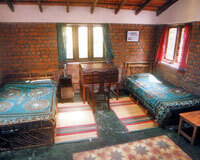 The hotel is situated 10 km north-west of Madikeri Town in one of the most natural and scenic areas of Kodagu District. 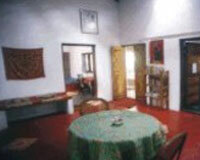 The retreat is surrounded by rolling hills and densely forested valleys. 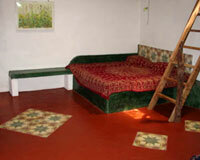 Rainforest Retreat offers 2 different types of accommodation, the Deluxe Cottages and the Plantation Cottages. 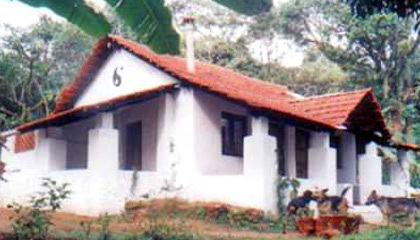 The Deluxe Cottages have been specially designed to meet international standards of style and comfort and are set in a rustic surrounding of bamboo, banana, coffee, and orange plants with crystal clear stream flowing nearby. The Plantation Cottages are little more rustic and have two comfortable, independent rooms each with fireplace, solar lighting and attached western toilets. Rainforest Retreat has a multi-cuisine restaurant.